Bali Island, the famed Island of the Gods, with its varied landscape of hills and mountains, rugged coastlines and sandy beaches, lush rice terraces and barren volcanic hillsides all providing a picturesque backdrop to its colorful, deeply spiritual and unique culture, stakes a serious claim to be paradise on earth. With world-class surfing, diving, trekking and outdoor wild Adventure like Canyoning, Whitewater rafting, a large number of cultural, historical and archaeological attractions, and an enormous range of accommodations, this is one of the world's most popular island destinations and one which consistently wins travel awards. Bali has something to offer a very broad market of visitors from young back-packers right through to the super-rich. Bali is one of more than 17,000 islands in the Indonesian archipelago and is located just over 2 kilometers (almost 1.5 miles) from the eastern tip of the island of Java and west of the island of Lombok. Bali Tours is a Bali travel specialist with experience advising people on their holidays and adventures in Bali. 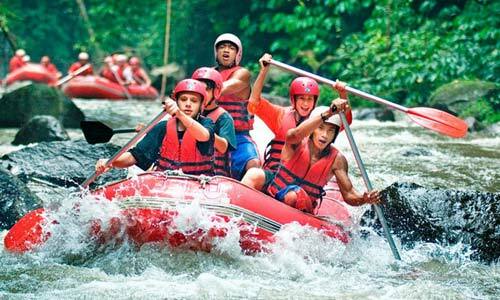 We offer a unique range of Tours, Adventures, and Activities in whole Bali. Our products speak for themselves and truly showcase how Bali Tour Info serve for every people holiday in Bali.